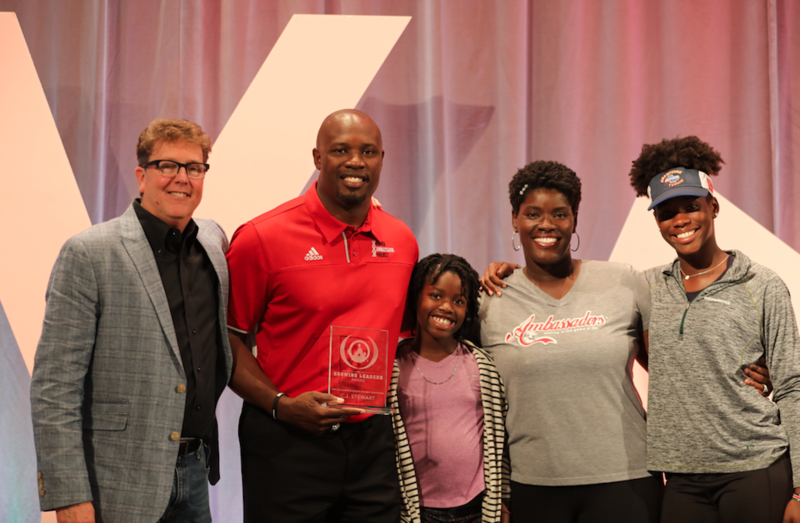 Each year the Growing Leaders Award is given to the person who exemplifies all of the characteristics of someone who is working to help students take on real-life challenges and opportunities. These leaders represent the Growing Leaders philosophy and mission in their own sphere of influence. We are humbled and honored to partner with these people in sharing the mission of turning everyday students into growing leaders who will transform society. 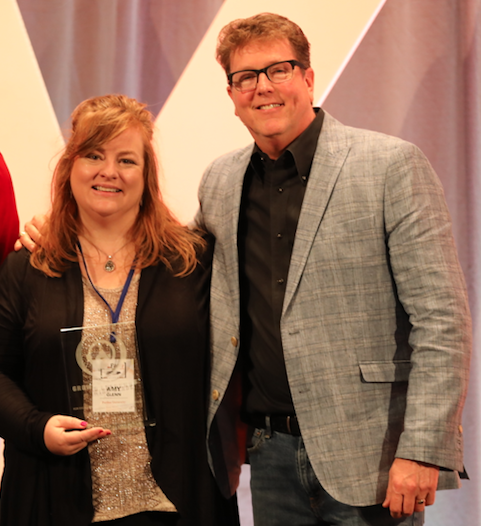 We are currently accepting nominations for the 2019 Growing Leaders Award. Feel free to nominate someone who you believe strives to develop everyday students or young adults into growing leaders who will transform society. Click on the button below to fill out the form to nominate someone today. Julie Diaz is the principal of Travis High School in Houston, Texas. Julie began her 30-year career as an elementary teacher and has been with Fort Bend Independent School District for the past 23 years. Prior to joining the team at Travis High School in 2015, Julie served as the principal of Fort Settlement Middle School and before that as principal of Commonwealth Elementary School, both in the Houston area. Her outstanding work over the years has earned her many honors. She has twice been named a campus Teacher of the Year, as well as a District Elementary Teacher of the Year finalist. Julie was also recognized as a Region 4 Outstanding Elementary Principal in both the 2005-06 and 2007-08 school years. Additionally, in 2017, Julie was named a finalist for the H-E-B Excellence in Education Award. C.J. Stewart is an Atlanta Native, who remembers watching the Chicago Cubs play on TV as a kid, and had a dream to playing for those Cubs one day. His dream came true! C.J. is a former Cubs Outfielder who now leads 2 organizations: He is the founder and CEO of Diamond Directors, and the founder of a Non-Profit Organization, L.E.A.D. C.J. grew up in one of Atlanta’s most dangerous housing projects. Because of this, his story is a vivid example of the belief that where you start doesn’t have to determine where you finish. Statistically, the odds were stacked against him, but he’s become a compassionate and engaged member of his community. He has used the platform of baseball to impact his community…particularly young male athletes. L.E.A.D.’s mission is to create positive outcomes for at-risk minority inner-city youth; leveraging the relationship between education, athletics, and service. Using Habitudes, C.J. has had an incredible impact on young men in his community through simple but profound conversations about leadership habits and attitudes. To date, 100% of L.E.A.D.’s student athletes have graduated high school and enrolled in college. Amy Glenn is the kind of leader college students can look up to. After growing up in the Midwest, Amy became a first-generation, non-traditional college student when she started working as a secretary at Purdue University while also completing an undergraduate degree in organizational leadership. Today, Amy is the Associate Director for the Office of Future Engineers at Purdue where she works to inspire young students to pursue STEM education. Her passionate dedication to the role is rooted in what she calls her desire to go back and inspire her “9th grade self” to stay engaged in math and science. 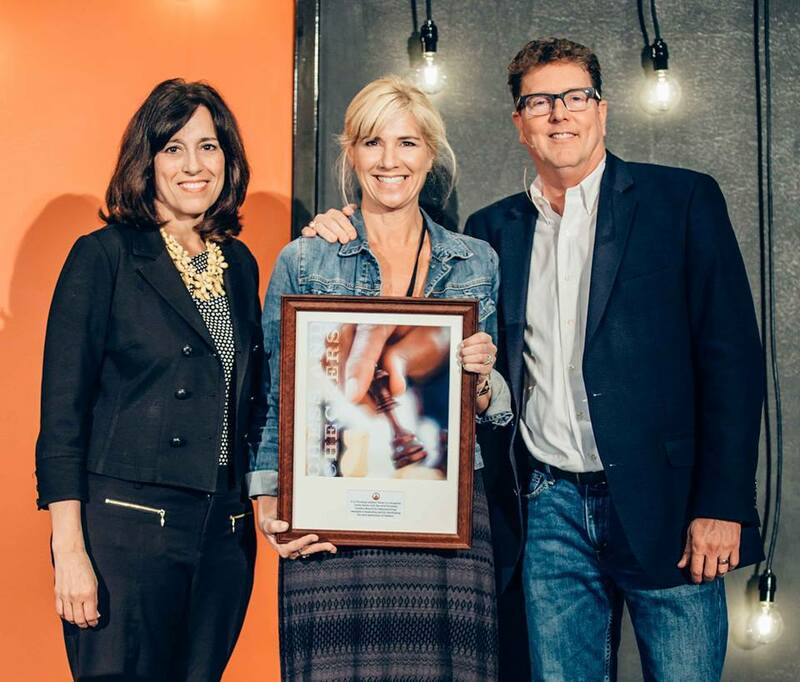 Amy and her colleagues at Purdue received a prestigious award this year from the College of Engineering in recognition of their groundbreaking program, which include Habitudes, to cultivate leadership and professional development in students. Stacey is the support services and outreach coordinator at Atlanta Area School for the deaf. Atlanta Area School for the Deaf provides a language-rich student-centered learning environment through American sign language and English for the purpose of empowering students to live independent fulfilling lives and become productive contributing member of society. Stacey has worked for over 20 years as an education administrator in both public and private schools. Because of her experience, she understands the real impact that both curriculum and the method of delivery will have on the way children learn. What makes Stacey so effective as a leader, is that she often goes above and beyond the call of duty for her students. She understands the need for leaders and has decided to take the mission of her school to the next level: training her students to be leaders, not just contributing members of society. 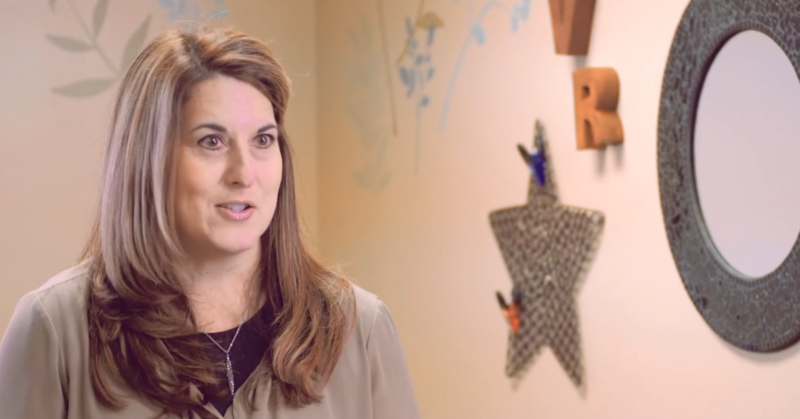 Stacey spearheaded a project to translate Habitudes videos into ASL, making Habitudes available to deaf students all over the country, starting with her community. Stacey Shaprio believes, like us, that being deaf should not inhibit you from being a leader in our society. Head of School, Mrs. Leslie Smith, is beginning her 11th year at Orange Lutheran High School, and she has been a dedicated educator for over 26 years. A life-long learner and graduate of Pepperdine University in Malibu, California, Leslie holds a Master of Arts degree in Education, Curriculum and Instruction, K-12, a professional clear multiple subject teaching credential, and she is currently completing her doctoral degree in Organizational Leadership at Pepperdine University. Known for her genuine care and concern for every student, Leslie has earned the respect and confidence of the student body because they know and trust her to have their best interest at heart. Concerned about adolescent health and well-being, Leslie is leading the effort at Orange Lutheran to “redefine the high school experience” to one that prioritizes the development of healthy, strong, caring students who are inspired, challenged, strengthened, and prepared for college and a life of purpose, service through vocation, and leadership in a global society. Currently serving as the University Chaplain at the University of Mary Hardin-Baylor, George Loutherback has worked in higher education for over 20 years. He has a heart for investing in and developing leaders among today's students. In his role, George strives to provide an opportunity for his students to be inspired, motivated, and educated every time they interact with him. 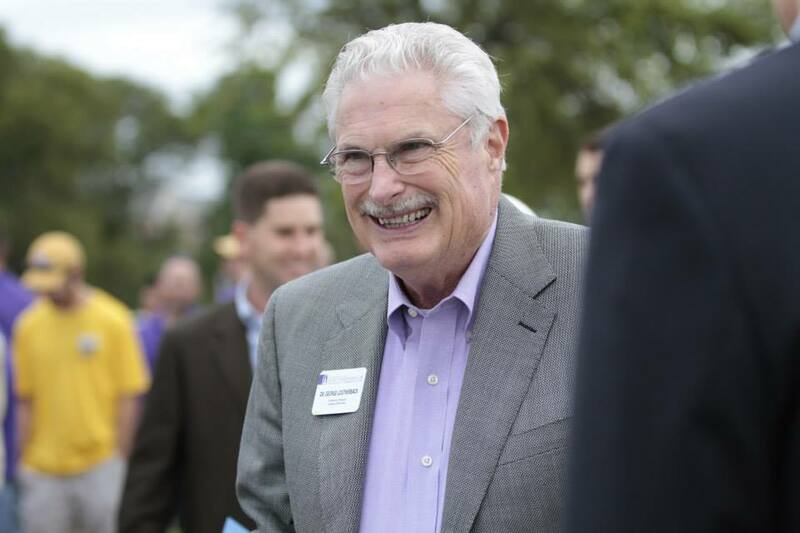 George was the first ever recipient of the Growing Leaders Award for his efforts in developing students at the University of Mary Hardin-Baylor into growing leaders who will transform society. We are currently accepting nominations for the 2019 Growing Leaders Award. Feel free to nominate someone who you believe strives to develop everyday students into growing leaders who transform society. Click on the button below to nominate someone today.